You really can have restaurant quality pork or chicken shawarma at home. 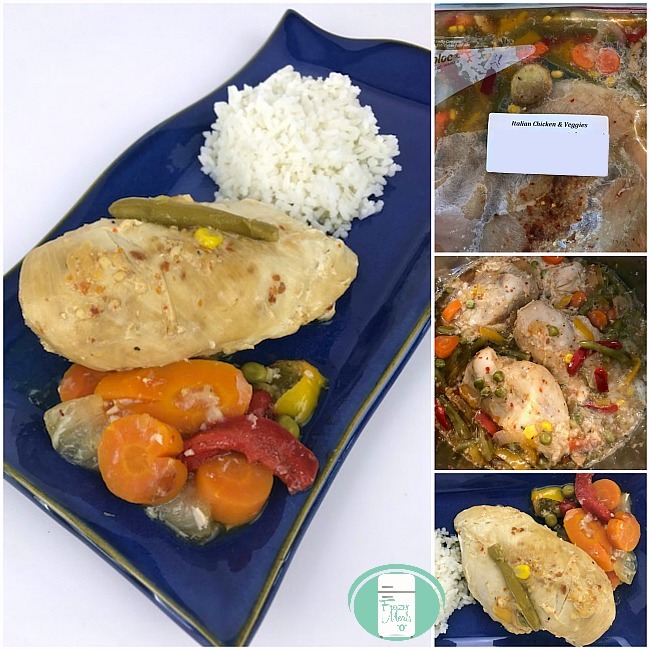 Better than that, you can make it ahead as a freezer meal and then cook it in the Instant Pot. 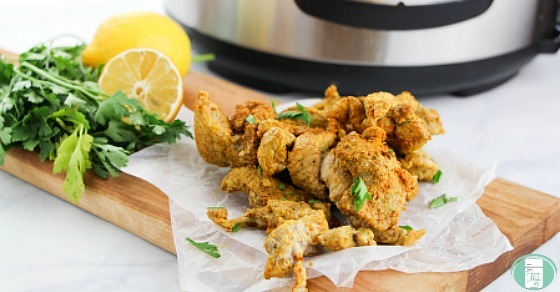 Yep, easy Chicken Shawarma without losing the flavours! My brother-in-law and sister-in-law spent some time in Israel. When they got back, they invited us over for dinner and introduced us to Chicken Shawarma. While we ate, they told us about their time in Israel and the people they met there. Their stories blended in with the flavours to create such a memorable evening. Afterwards, I was able to find a local Mediterranean restaurant that served the dish, but they often aren’t open when I have a craving. I knew I had to find an easy way to make it at home. Since I make most of our meals ahead, I adapted this recipe to make it into a freezer meal. I make several at a time (which takes the same amount of time as making one). This way, I can always have one on hand for when a craving hits! 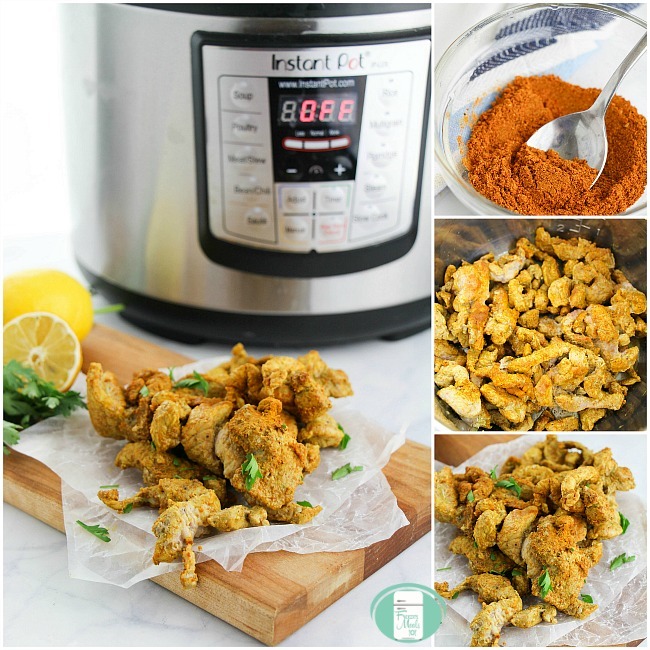 Having this Middle Eastern inspired dish go from the freezer to the Instant Pot makes it so quick and easy. 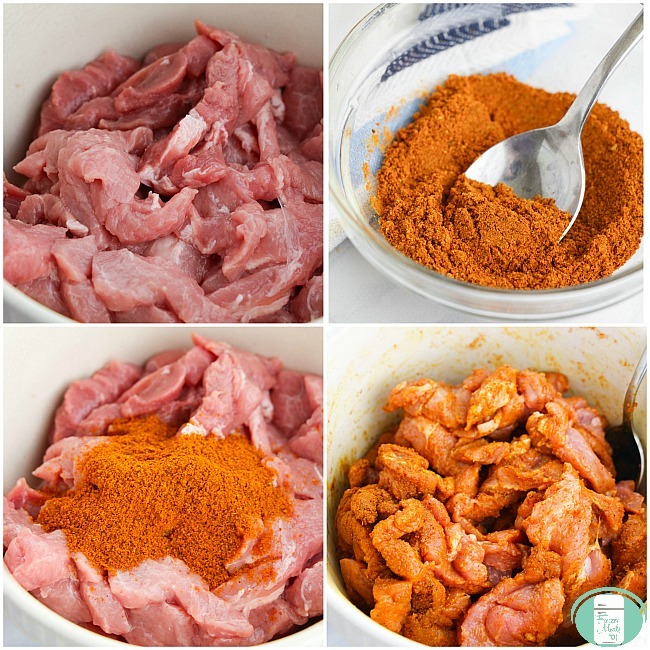 Pat the chicken or pork dry and cut into 1/2 thick strips. Place all the cut meat into a medium or large resealable freezer bag. Remove the excess air, seal, and freeze. Place the rest of the seasoning in a medium sized resealable freezer bag and store in the freezer to maintain its freshness. On the day of cooking, take the bag of shawarma out of the freezer to thaw. Place the 2 Tbsp. of oil in the Instant Pot and select the Sautee setting. Place the chicken or pork in the Instant Pot to sear for about 2 minutes. Turn off the sautee setting and add your broth or water. Select the meat setting for 10 minutes. You can use the natural or quick release. The best way to eat shawarma (in my opinion) is to spread a layer of hummus on a pita, add some of the cooked meat, top with some dill pickle slices, and sprinkle with a bit of parsley. Roll the pita and get to the eating! I know that the dill pickle thing sounds weird. It sounded strange to me too at first. My sister-in-law, Marcia, convinced me to try it and I’m so glad that I listened. If you’re unsure, just add one slice and take a bite. You’ll probably open your pita back up to add more! You can make your own hummus or use store bought. For this recipe, homemade hummus isn’t going to make a big difference one way or the other. If you want to take this dish to the next level, you can also add a dollop of tzatziki or yogourt to your pita. 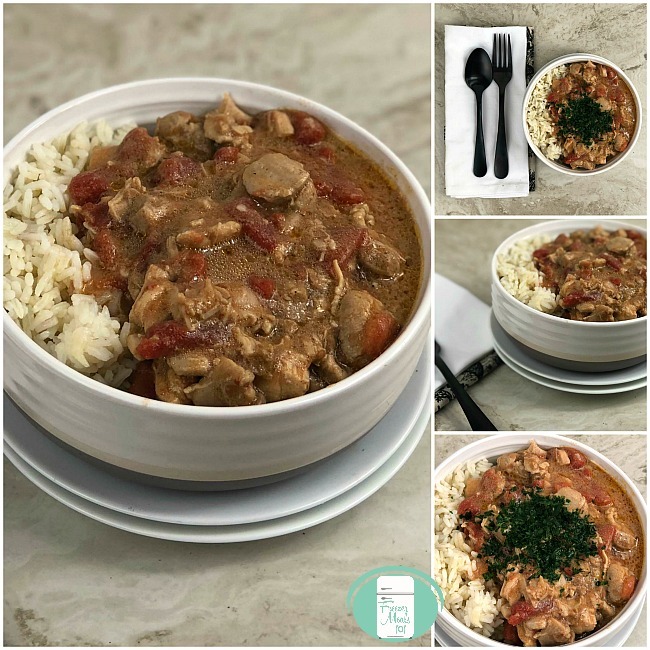 If you are looking for Instant Pot recipes, check out our Instant Pot Freezer Meal Plan. It includes great recipes, prep lists, shopping lists, and printable labels.